A combination of robotics, drones, sensors, and wearables shape new showcases in three major markets. Ryder System Inc., today announced it successfully transformed three Ryder smart warehouses in the Miami, Dallas, and Chicago markets. 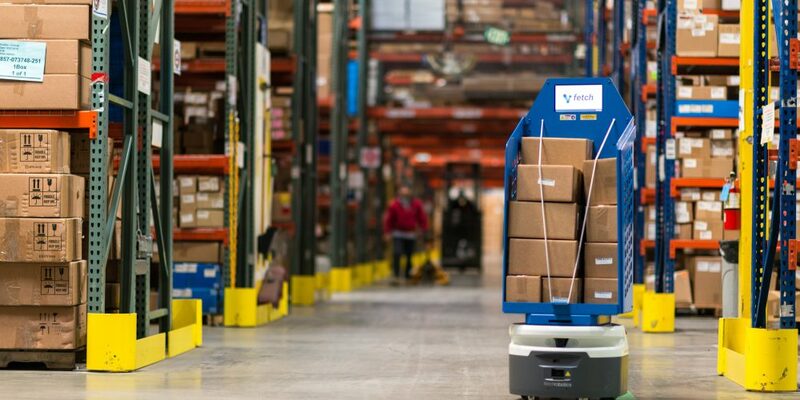 Working with Fetch Robotics and other partners, the supply chain company plans to deliver advanced automation, flexible and scalable operations, real-time visibility, and a customer-centric experience through these new smart warehouses. 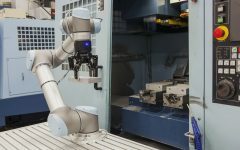 Robotics – Implementing robotics throughout Ryder-managed warehouses produced a 25% increase in productivity, and a 20% savings in operations, by reducing travel time in the warehouse, which Ryder said can account for 30% of an employee’s shift. Drones – At a Ryder customer warehouse, drones could successfully scan pallets and locations in 20 minutes, compared to manual scanning that would take 90 minutes. Ryder said a cycle count on the entire warehouse would take three hours, versus two days. Drones can easily identify available pallet locations and verify product placement. Sensors – Identification tools provide real-time asset location and enable performance management. Ryder said productivity and cost savings increased more than 25% with sensors in place. Wearables – Ryder said it deployed smart glasses at a customer warehouse to improve picking processes, and the time to pick and scan inventory decreased by 5 to 7 seconds per item, improving efficiency by 33%. On-Demand Automation in Ryder Smart Warehouse with Fetch Robotics v3 from Robotics Division at EH on Vimeo. Ryder’s Supply Chain Solutions division optimizes logistics networks to make them more responsive, and able to be leveraged as a competitive advantage, the company said. Operating 319 facilities with 50 million square feet of warehouse space, the company works with globally recognized brands in the automotive, consumer goods, food and beverage, healthcare, industrial, oil and gas, technology, and retail industries. Operations occur in the U.S., Canada, and Mexico, and the company has contracts with more than 3,100 carriers in all modes of transportation in the markets it serves. The company’s Ryder Last Mile operation provides home delivery and “white-glove installation” for big and bulky goods, with 136 facilities covering 95% of the U.S. and Canada within a two-day delivery timeframe. Fetch Robotics, a member of the 2018 RBR 50, was one of the partners chosen to work with Ryder on the new smart warehouse showcase.